Readers of syndicated newspaper comic strip Pearls Before Swine were gifted with a secret treat this Sunday, as bona fide funny pages legend, Calvin and Hobbes‘ long-retired Bill Watterson (PeekYou profile here), emerged, if only for one panel. Former attorney, and now Swine cartoonist, Stephan Pastis (PeekYou profile here), had struck up an email friendship with the media-shy Watterson; from which the idea of working together emerged. You can see what Watterson had to say to The Washington Post about it all in-full here. This isn’t as hard to understand as people try to make it. By the end of ten years, I’d said pretty much everything I had come there to say. It’s always better to leave the party early. 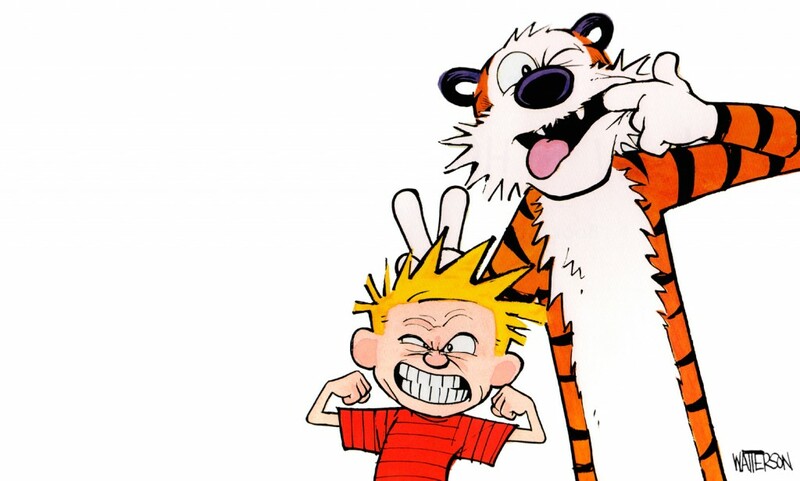 If I had rolled along with the strip’s popularity and repeated myself for another five, ten, or twenty years, the people now “grieving” for Calvin and Hobbes would be wishing me dead and cursing newspapers for running tedious, ancient strips like mine instead of acquiring fresher, livelier talent. And I’d be agreeing with them. I think some of the reason Calvin and Hobbes still finds an audience today is because I chose not to run the wheels off it. I’ve never regretted stopping when I did. A visit to Bill’s PeekYou profile will grant you the opportunity to see what the Internet has to offer of this cartooning giant; including many articles, reproductions of his comics, points of purchase, video, and more.